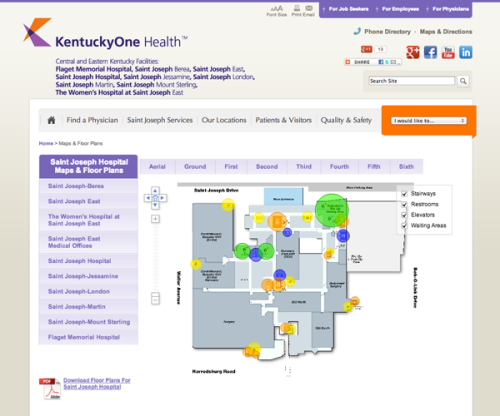 With Saint Joseph’s launch of their new web site last year, they contracted HostGuardian.com to help build a full featured campus mapping system for each of their hospital locations. Each campus map has an aerial shot as well as a layout of each floor within their facility. Visitors are able to find exits, waiting areas, restrooms, etc.